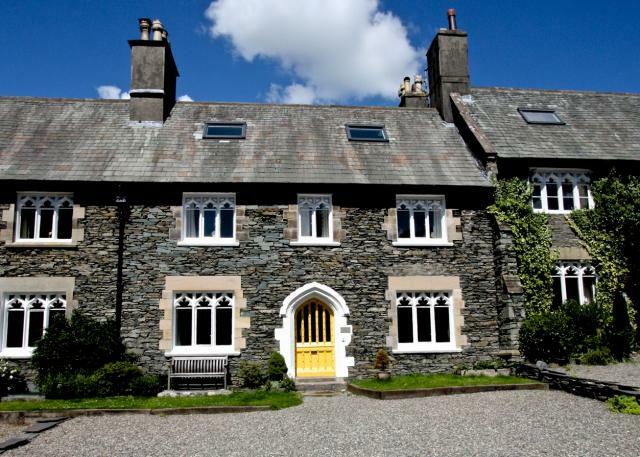 Alice Howe, Windermere, Cumbria, Lake District, sleeps 10-14 in 7 bedrooms. 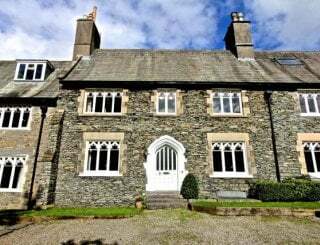 Named after the small hill behind the house Alice Howe sleeps 14 comfortably in 7 bedrooms, perfect for a large group holiday in the Lakes District. 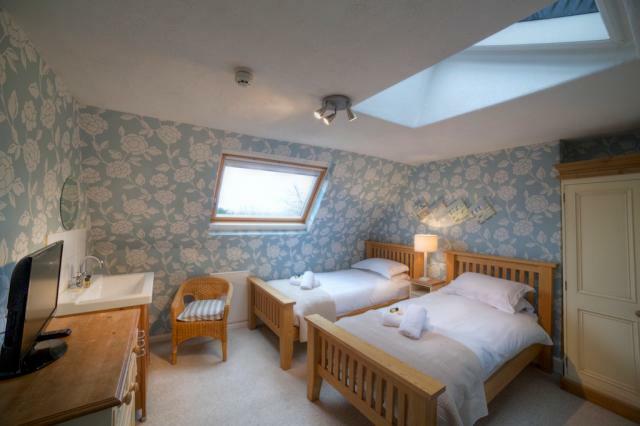 5 of the rooms have en-suite shower rooms, plus there are 2 other bathrooms - giving each bedroom its own facilities. We supply complimentary soaps and shampoos, fluffy towels and crisp white bed linen. 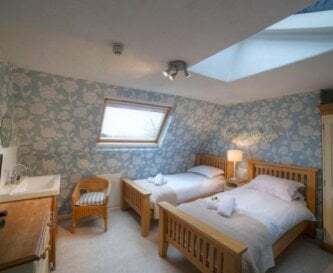 There are a high number of twin rooms which means the houses is especially suited to mixed groups not just couples or families. 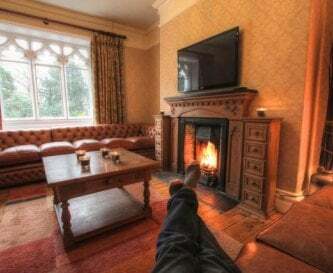 Alice Howe has lounge with huge leather Chesterfield sofas, a large flat screen TV and an open fire. 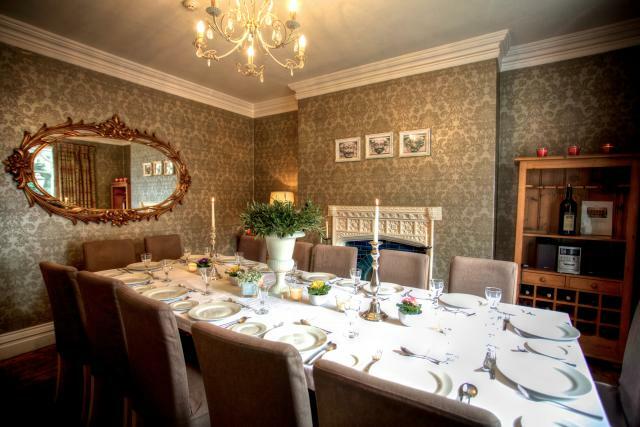 The dining room has a huge table perfect for entertaining a group of 14. 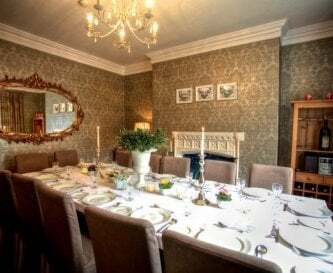 The room also has an open fire surrounded by a Pugin designed fireplace similar to the one he designed for Westminster Palace. It is equipped with a Bose Companion speaker system 3 to plug your phone, iPad or laptop into. 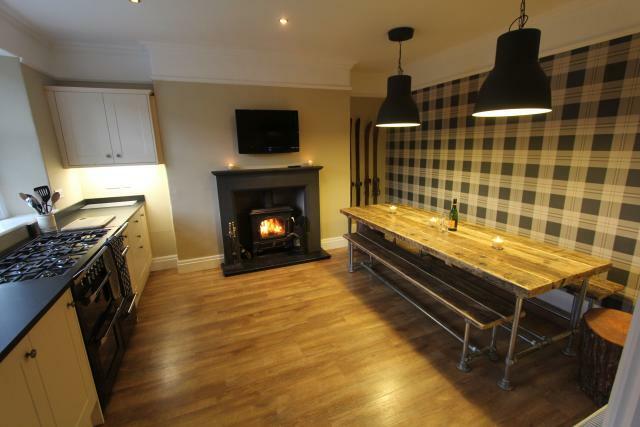 There are 2 kitchens one for cooking, eating and socialising with large table and wood burning stove and one for prepping and washing up with 2 dishwashers. In the cellar there is a slate bed pub-style pool table. 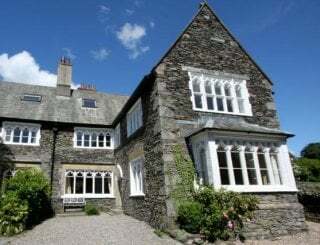 The rear walled courtyard enjoys a view to Orrest Head where Alfred Wainwright took his first view of the Lake District - a view that changed his life for ever! The courtyard has outdoor table and chairs perfect for dining alfresco and a barbecue, its surrounding walls mean that it’s usually protected from the wind. 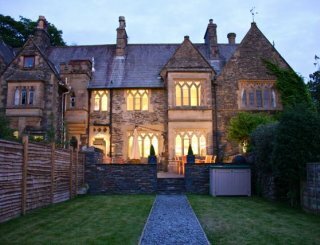 As you’d imagine the property has been thoughtfully decorated and furnished and consequently has been awarded 4 stars by Visit England. Alice Howe is the perfect large house to rent in the Lake District for a group of 14 for a holiday or weekend break. 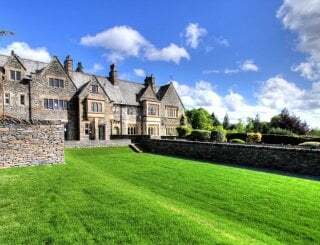 We're more than happy to accommodate upmarket (well-behaved) hen or stag do's outside school holidays. 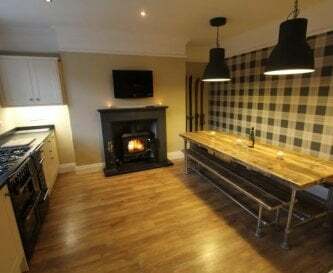 2 kitchen areas: The main area has a 7 ring burner, twin oven range cooker, flat screen V and a wood burner. 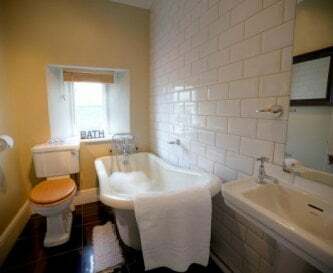 The 2nd area is for prep and washing up. Seats 14 around large table. Pugin designed fireplace. Bose Companion 3 speaker set for plugging laptops, iPads and phones into. 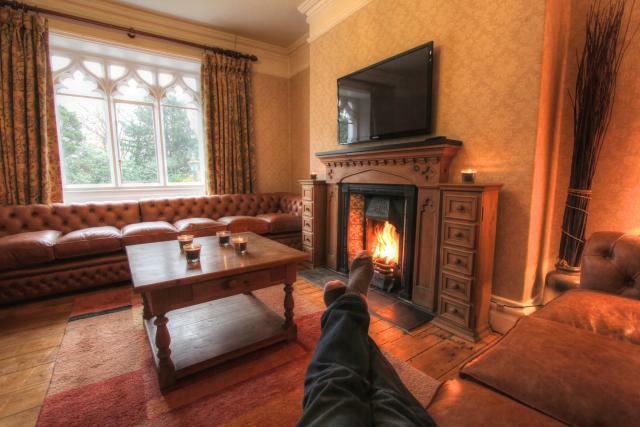 Large lounge with huge leather Chesterfield sofas set around an open fire and a flat-screen TV with DVD player. Bose Companion 3 speaker set for plugging laptops, iPads and phones into. TVs in all bedrooms. TV in lounge and kitchen (Freeview only). Wifi available in rear lounge. We can not guarantee this is always working due to our remote operation. Pool table in the cellar. Gas central heating throughout. 2 open fires and a wood burning stove, smokeless fuel supplied. 2 doubles, 4 twins, 1 bunkbed room. 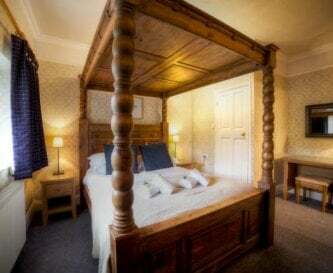 White cotton bedding and towels for all guests supplied. No special facilities - sorry! Enclosed rear garden, Sony Playstation2 plus games. DVD jukebox. The house has private grounds. Off road parking for up to 7 cars. Yes up to 2 dogs. 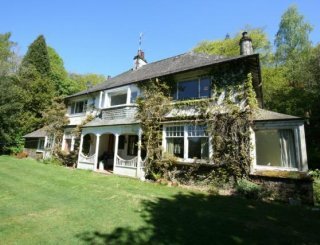 The property is located in secluded private grounds just above Windermere village. Within 2 minutes you can be in the heart of the village. Booths supermarket - amazing local produce. 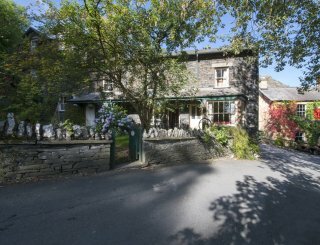 Many pubs and restaurants only 500 metres away in Windermere village. 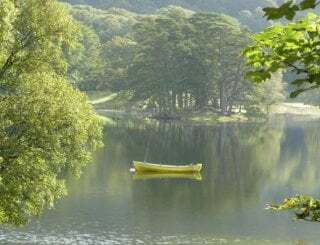 Weeks in school holidays individually priced. 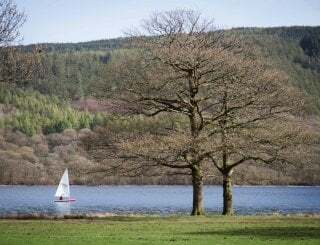 Windermere railway station is 400 metres away. 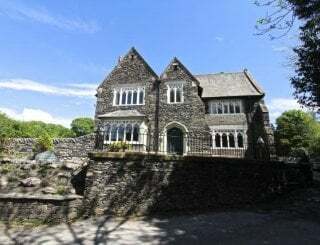 There is a bus station outside Windermere railway station providing links to most Lake District towns. Manchester 1hr 15m, Liverpool 1hr 15m, Blackpool 50m, Leeds/Bradford 1hr 30 min. 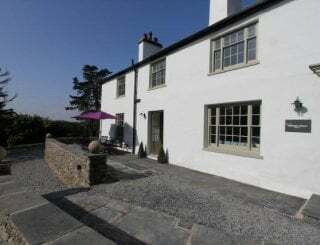 25th April, 3 night weekend break £2000. 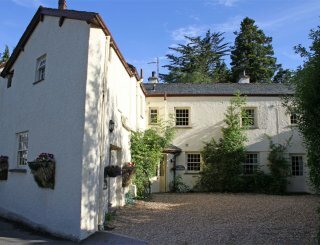 10th or 17th, 4 night mid-week deal reduced to £1000. 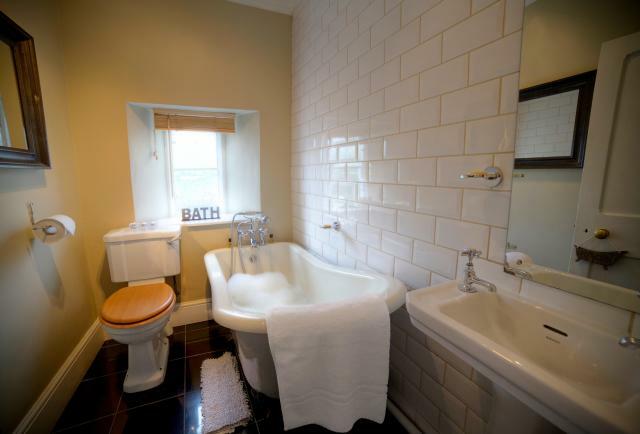 28th, 3 night weekend break now £2200. 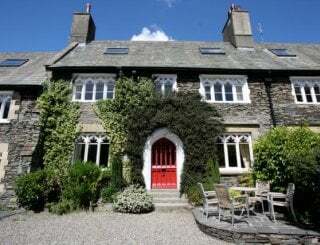 20th Dec, 7 nights only Christmas week £4305. 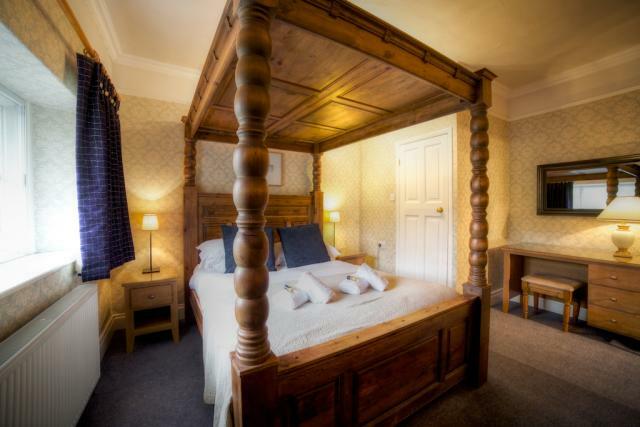 27th Dec, 7 nights only, new year break £4515.